Laser printer supports various mobile printing solutions and provides a first-printout time as fast as six seconds to help you quickly tackle any task. 5-line LCD helps you quickly navigate through the menu for quick, simple operation. 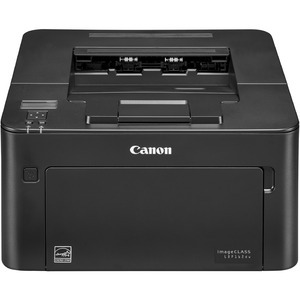 Black-and-white printer is compatible with high-capacity cartridges to help reduce your overall supply costs. And its signature reliability and engine technologies help keep productivity high and minimize the impact on support resources. A combination of fusing technologies and low-melting-point toner minimizes power requirements and helps achieve low-energy consumption. Compact printer also offers 256 MB memory, up to 30 ppm, 250-sheet maximum paper capacity, one-sheet paper bypass, 600x600 print resolution, double-sided printing and more.